To take advantage of consumer demand for convenience, White Flower Farm is teaming up with Garden Media Group to help it become the premier online source for well-curated plants, holiday gifts, tools, containers, and garden accessories delivered right to a person’s front door. A well-established name in the horticulture world for more than 60 years, White Flower Farm is a leader in online garden retailing. In addition to offering the highest quality flowers and shrubs on its easy-to-use website, the company also delivers flower bouquets, houseplants and monthly subscription gifts. Wadsworth is mutually excited about the partnership. 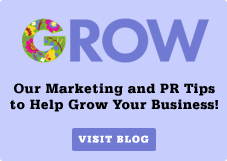 “Garden Media has a reputation for building brands and driving online traffic. We’re confident its team is going to exceed our expectations for building our reputation as the source for all gardening needs,” he explains. Based in Morris, Connecticut, White Flower Farm is a family-owned mail-order nursery located in northwestern Connecticut. Since 1950, it has been providing a wide range of perennials, annuals, bulbs, shrubs, vines, amaryllis, gardening tools & supplies, and gifts for gardeners. The website offers a variety of annuals, perennials and shrubs, as well as educational resources holiday gifts and wreaths and other festive arrangements. For more information, visit www.whiteflowerfarm.com. Garden Media Group ignites buzz for clients, offers innovative public relations campaigns and secures top media placements and partnerships. The boutique PR firm is known as the best in the home, garden, horticulture, outdoor living, and lawn and landscape industries. Visit gardenmediagroup.com for more information.